Deploy your app to users by sending an install link. How does a user install your app with the install link? The link points to a page with instructions depending on the combination of platform and web browser they're using. 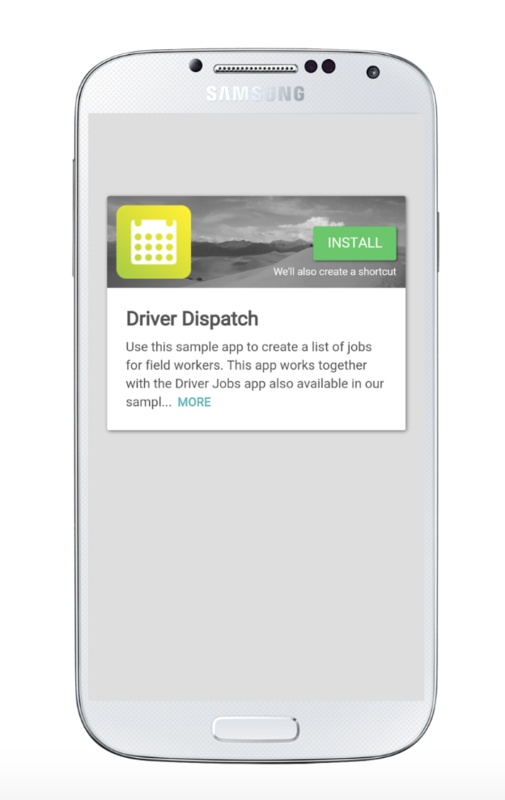 If AppSheet is already installed, tapping INSTALL will open the app you shared (Driver Dispatch in this example) and create a shortcut to your app on the user's home screen. Tapping GO will open the Play Store, where the user can install AppSheet. 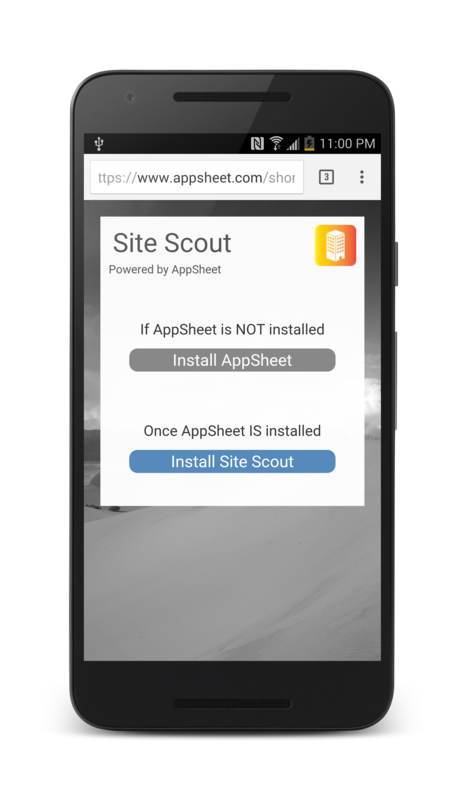 When the user opens AppSheet for the first time, they'll be taken to your app and a shortcut to it will be placed on their home screen. After that, the user will see a page like the below. Follow the old instructions to create a shortcut. 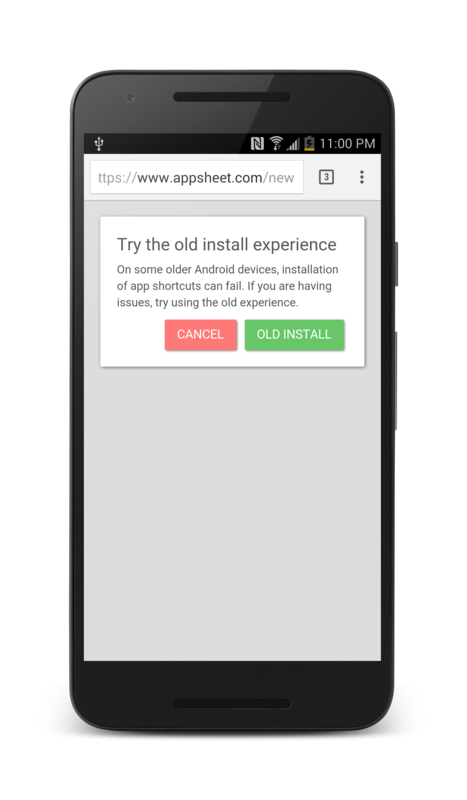 The user is presented with two options: one for when AppSheet is installed, and one for when it isn't. 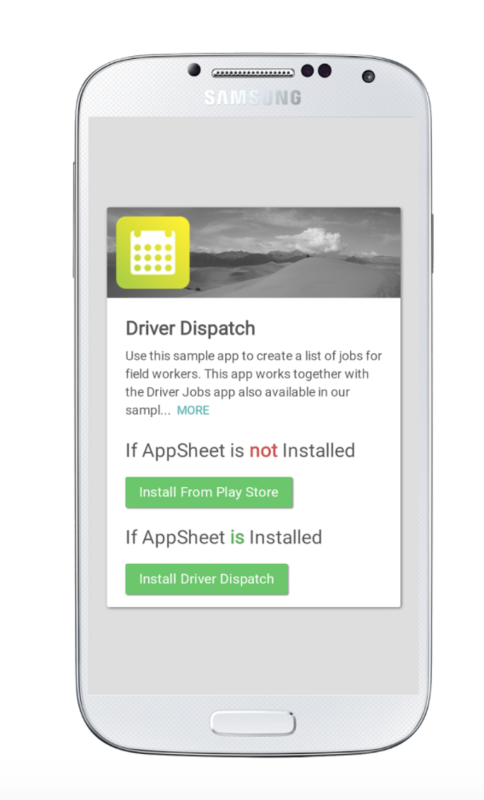 If AppSheet isn't installed, the user should install AppSheet from the Play Store. 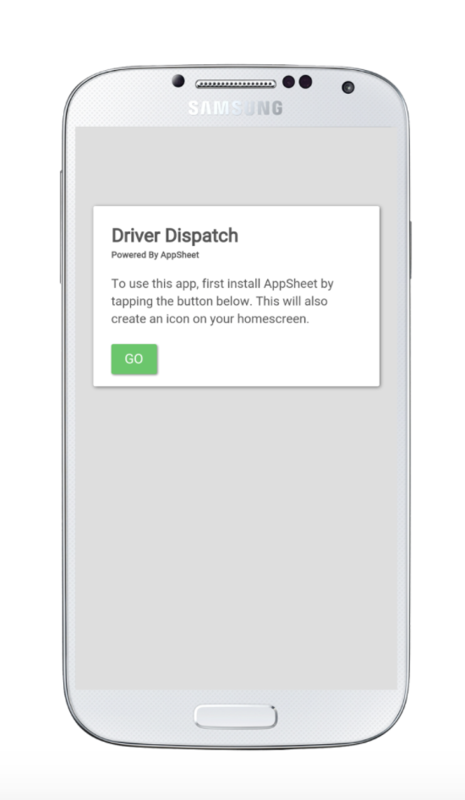 When the user opens AppSheet, they'll be taken to your app (Driver Dispatch in this example), and a shortcut to the app will be placed on their home screen. 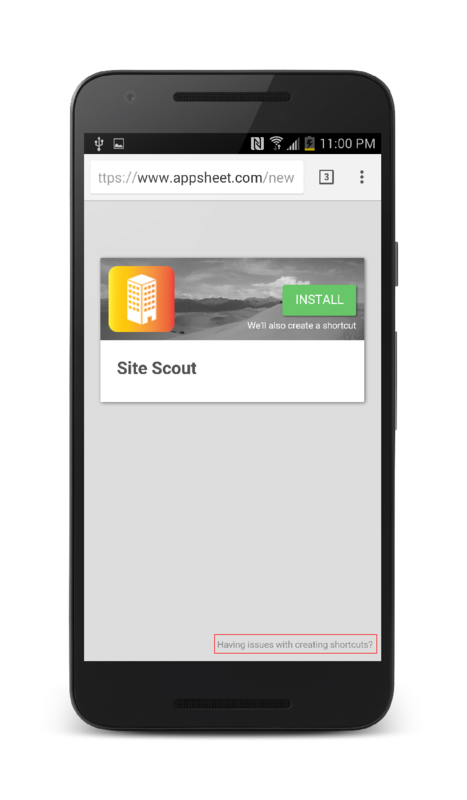 However, if AppSheet is already installed, tapping the second button will launch AppSheet with the correct app and create a shortcut on the home screen.